Columbus Forklift Training – Get Hired with a Forklift Certification! Forklift Training and Certification can help you land a Columbus job more quickly than you think! 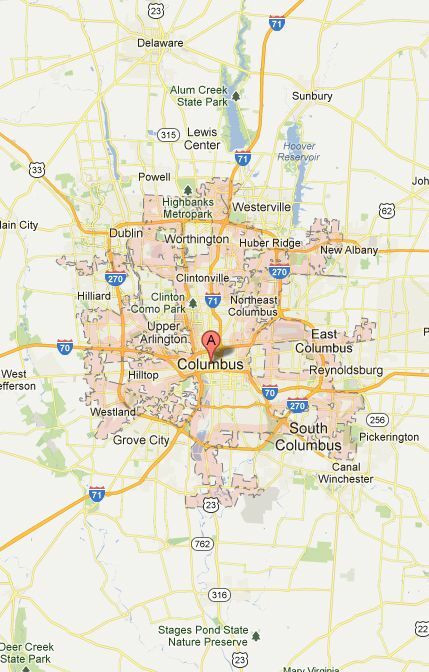 How much do you know about Columbus, Ohio? It’s the fifteenth largest city in the US, and Ohio’s state capital. It’s also the largest city in Ohio with the most people (yes, even more than Cleveland!) It’s also been mentioned in the 2012 Business Week’s “50 Best Cities in America” list, and with good reason. Oh, for those with Columbus forklift training there is a great deal of opportunity. Columbus is a beautiful place to live and work – with OSU right inside the major part of the city, job opportunities and continuing education training are readily available. In 2011, five major corporations in Columbus were part of the Fortune 500 listing for the United States. Many foreign corporations have set their sights on Columbus, and the city grows year after year. With a strong economy and plenty of opportunities, Columbus is an ideal for a forklift driver looking for employment. But remember, the best-trained candidates get the best jobs. CertifyMe.net has a complete lineup of forklift training classes in Columbus, Ohio – and they all satisfy OSHA’s training requirements. We offer a streamlined 5 step process to help you become compliant. With our training, you’ll have a better chance to get forklift jobs in Columbus, Ohio. If you’re looking for forklift training in Columbus, you’ve got the right idea. A diverse job market and many high profile employers are looking for dependable employees with the right forklift certification from a forklift school. Columbus boasts beautiful sights, well-build roads and excellent schools, and is a great place to move your family in anticipation of a high-paying forklift job. If you have forklift certification in Columbus, that new job could be a possibility! There are hundreds of well-paying forklift jobs in Columbus, Ohio, and many offer outstanding benefits as well. Before a company is willing to invest in you, invest in yourself – and your future – with forklift training in Columbus, Ohio, from CertifyMe.net! If you’re looking for some lucrative job opportunities in Columbus, you might want to start with Victory Packaging. When you think of a packaging company, you might think of mail order type parcel services, but they do it all. They have a major Westbelt Drive warehousing complex and they’re usually hiring competent forklift drivers with Columbus forklift training. If you have forklift certification in Columbus, Victory is a great place to start. Sears Holdings Corporation is always looking for applicants and you’ve probably heard of them before. Check their career opportunities out at and make sure to click the Distribution link. Other well-known companies that are continuously looking for skilled drivers are: Goodwill Columbus, Bare Escentuals, Designer Shoe Warehouse, and Nestle Waters North America. To learn more about these companies visit their career pages for details. While these Columbus companies differ in industry type, profit margin, and other key aspects, there’s a common bond they all share: they want the best forklift drivers. Which means you need forklift training in Columbus, Ohio. CertifyMe.net will get you started today! Don’t think that only construction jobs have a use for drivers with forklift training in Columbus. Wherever heavy equipment or objects need to lifted or transported, employers are looking for someone with the proper forklift training from excellent classes. Columbus has plenty of employers we haven’t discussed that are always looking for hires, including a large multinational airport. It’s important that before applying for a job, a driver should have the right forklift certification. Columbus can get icy, and accidents are bound to happen. Even warmer weathers can bring fatal falls, crushing deaths or other tragic events. Untrained and seasoned forklift drivers alike can experience injury or come to an untimely end, which is why it’s so important to have the right forklift training. Columbus area employers expect only the best. For example, on March 3, 2013, Cleveland.com reported an accident about a man who was crushed by an electric forklift. This man actually had the proper forklift certification. Columbus, like any city, has its hazards so it pays to be careful. From an employer’s perspective, the only way to really know for sure if someone is suited for the job is through forklift training. Columbus employers won’t always furnish this training for you – it’s important to make sure you prepare on your own to get a leg up over the job competition. It’s time to invest in your future and your next career move by getting the right forklift certification. Columbus employers are waiting! CertifyMe.net ensures you have the skills and knowledge to succeed on the job, and it starts with forklift training Columbus, Ohio. No other online training provider gives you the flexibility, convenience, and lifetime support that CertifyMe.net offers! Sign up today for one of our classes, and punch your ticket to great forklift jobs in Columbus, Ohio! Thanks for visiting CertifyMe.net!